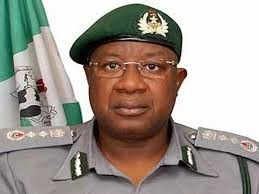 The directive to collect duty on the textile products was given by the Comptroller-General of Customs, Dikko Abdullahi, following consultations with the Federal Government and importers of the items. The imported items are currently discharged in warehouses sealed by the Nigeria Customs Service in various areas of Kano metropolis. pay a combined import duty of N373, 307, 242.16. N26,569,253.73 for 7% surcharge; N14,243,212.64 for 1% CISS levy;N6,767,022.49 for 0.5% ETLS levy; N59,154,231.65 for Textile levy N95,527,905.15 for Value Added Tax. The Comptroller-General of Customs' decision to allow the importers of the detained goods pay duty is based on recent fiscal policy review removing textile fabrics from import prohibition list . The move is also expected to shore up Government revenue, which has witnessed a downturn in recent times. Last month, he said 75 warehouses of assorted textile materials were sealed up in Kano by Customs anti-smuggling operatives, following months of undercover operations and activation of local and international intelligence networks. The warehouses were operated by foreign nationals using a handful of Nigerians as their guarantors. In view of the organised nature of the smuggling syndicate, Abdullahi has called for closer inter Agency collaboration to curb the excesses of foreign economic saboteurs who break Nigeria’s laws with impunity.